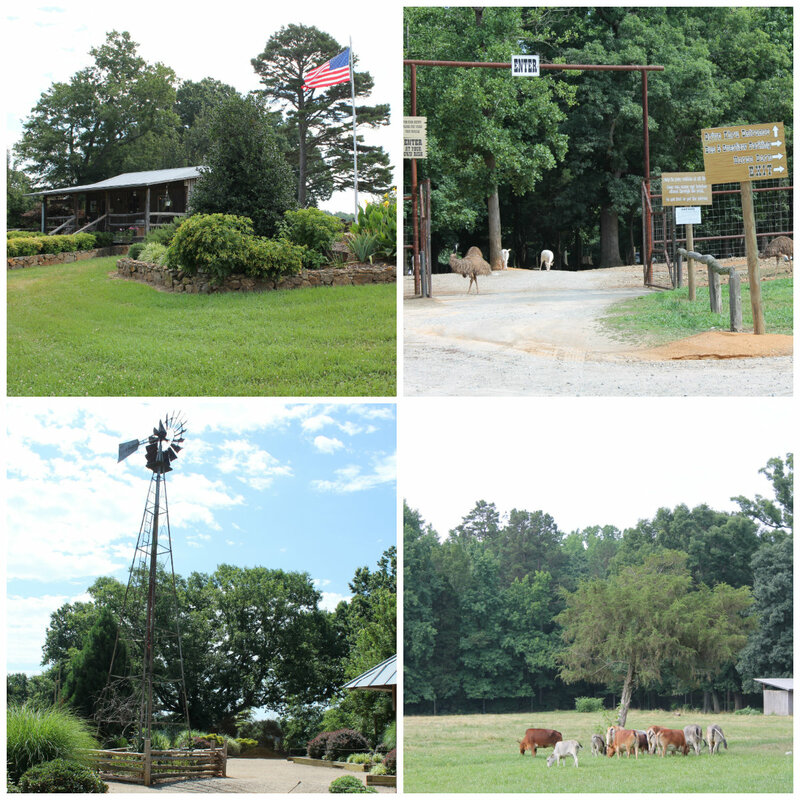 My absolute favorite destination in North Carolina is the privately owned and family run Lazy 5 Ranch located outside of Charlotte in Moorseville, NC. Lazy 5 Ranch is not just for kids; I think I enjoyed it as much as the children around me, if not more. 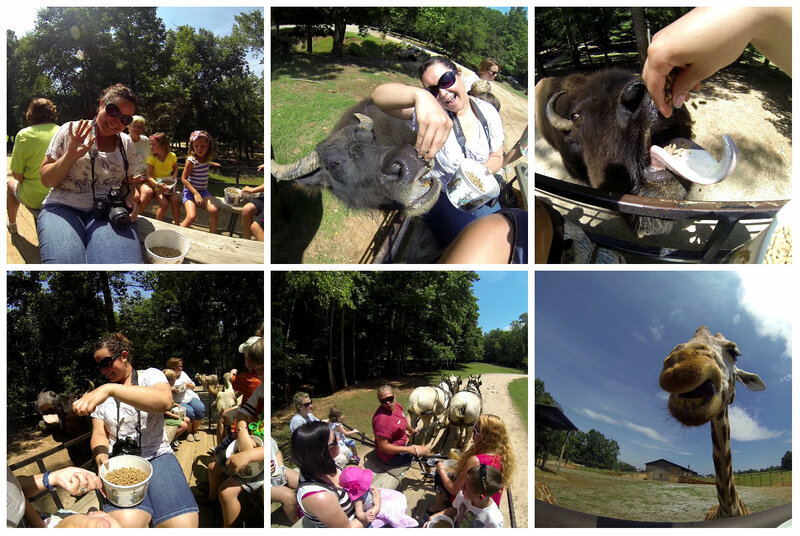 I was extremely excited to take the 3.5 mile guided safari wagon tour throughout the interactive zoo seeing more than 750 animals from all over the world. 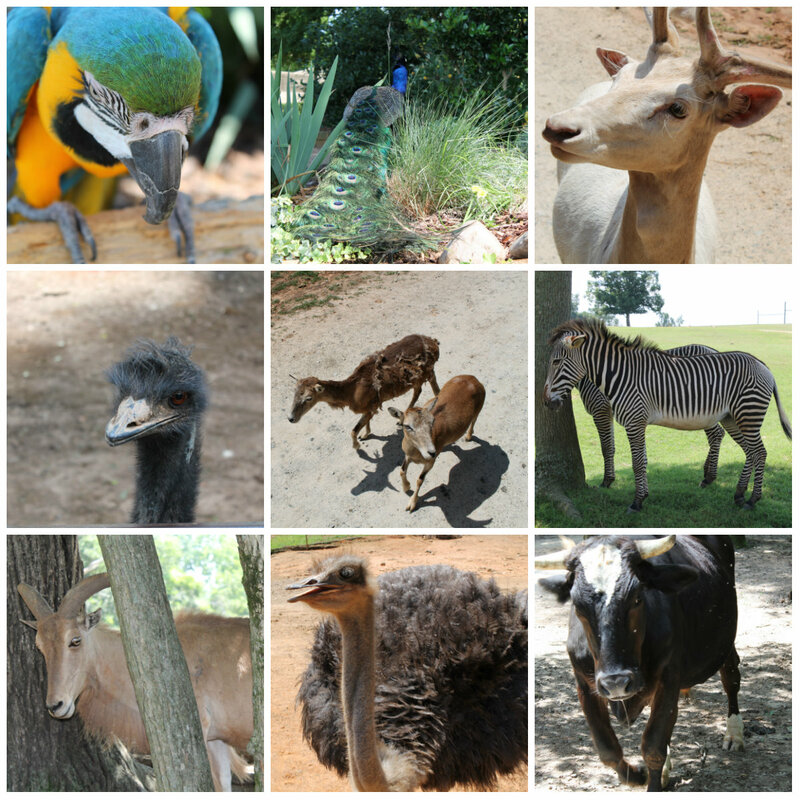 Animals from over 6 continents roam free throughout the park in their re-created “natural” habitats. During the horse drawn wagon ride, I had multiple opportunities to take pictures of the many animals, feed the animals, and pet the animals during the stops along the way. The ranch is open Monday through Saturday from 9am until one hour before sunset and Sundays 1pm until one hour before sunset. The animals can also be viewed from the comfort of your own vehicle which you can drive throughout the park for under ten dollars. I opted for the more rustic and close up experience for an additional five dollars. Discounts are provided for children, seniors, and groups. Be sure to go early to have time to feed the animals in the petting zoo. When you purchase a ticket on the wagon, you get one bucket of feed to share between two people throughout the tour. 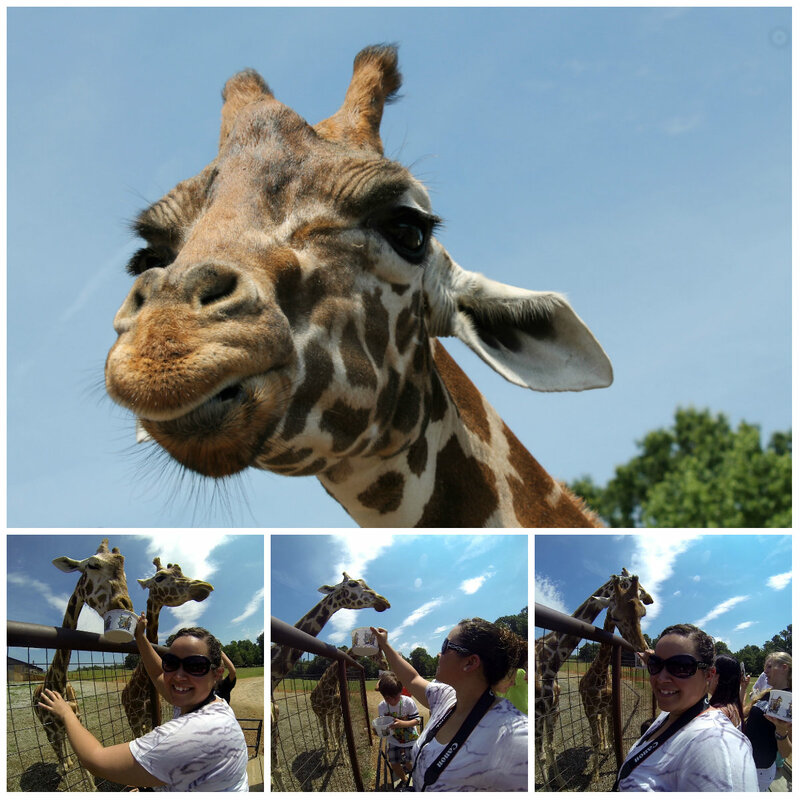 The animals are friendly and eager to be fed and pet by the excited visitors. My favorite part of the day was feeding the giraffes. I’ve been to plenty of urban zoo’s like the Santiago Zoo and NYC Zoo, which I love and adore, but I wasn’t able to get up close and personal with the animals like I was able to do at Lazy 5 Ranch. For over ten minutes our wagon stopped to visit the giraffes, while the gleefully happy passengers, myself included, fed the giraffes. How much better can it get? 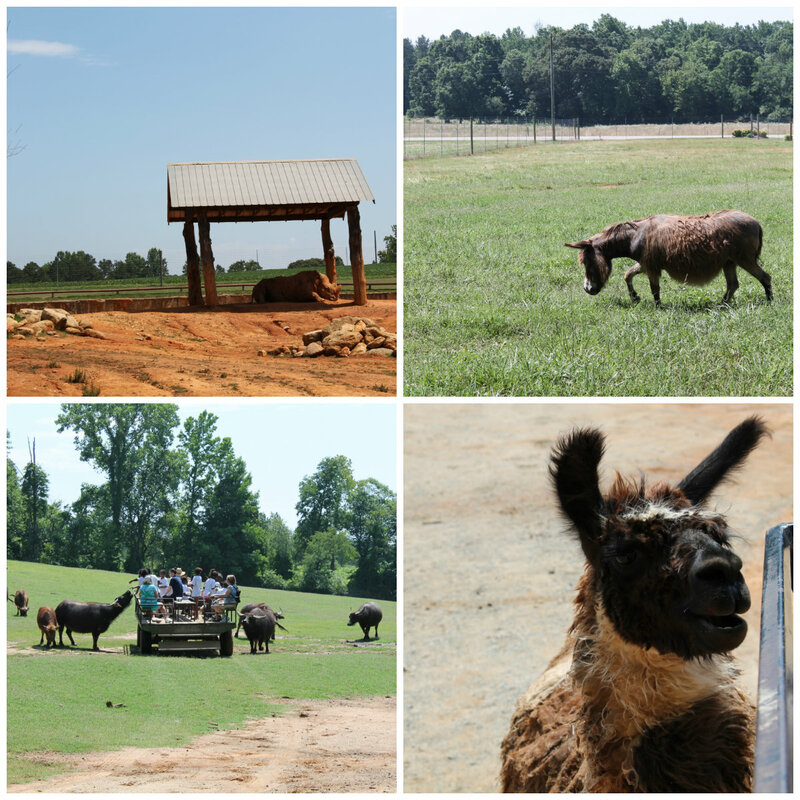 Lazy 5 Ranch is always changing with the addition of new exhibits and an increasing variety of animals. Lazy 5 educates visitors about animal protection in a fun way. Many of the animals have been rescued or the species may be nearing extinction including the Grey Zebra, Scimitar Horned Oryx and Ring-tailed Lemur. One unique species living at Lazy 5 Ranch is the White African Rhino. The Scotch Highland Cattle, Watusi, Texas Longhorn Cattle, Mammoth Donkey, Himalayan Tahr, Eland, Dromedary Camel, Red Kangaroo, Rhea, among others are waiting for your arrival. This entry was posted in North Carolina, travel, USA and tagged bucketlist, experiences, Lazy 5 Ranch, North America, North Carolina, Travel, Try, Turquoise Compass, USA, Zoo by Turquoise Compass. Bookmark the permalink. What a nice place to visit! Giraffes are one of my favorites too! Their print is so fashionable! I know, it is an incredible destination. I’ve always been fascinated by their long necks and tall stature! Have you fed them before? So glad you enjoyed my state! My daughter teaches in the next county over from mooresville. My sister in law lives in Charlotte. I live across the state on the east coast. Glad you visited! Lots to do here in this divine land. Let me know if you ever come back and I’ll give you some options! That’s awesome! I enjoyed it very much! There is a lot to do there, I was pleasantly surprised! I enjoyed visiting the Discovery Place in Charlotte (and the Discovery Place Kids in Huntersville). I will for sure be in touch if ever I am in the area again! Now, the question is, have you been to my area? Atlantic Canada!? I have been to Canada. Loved it!! But only over the borders from NIAGARA FALLS. so beautiful. So clean. And should be due to your fines for littering. All states should implement. We would all be prettier states. I remember how beautiful the flowers and gardens were kept. How kind the Canadians were. I only hope your stay here in NC was a cordial. Next time you will have to visit the beach. My home. Yes, and as you can tell from my blog, I love the beach! Next time I will be stopping at the beach for sure. How I just found your blog! How did you take the funny pictures? Were your children afraid of any of these animals? The pictures were taken with a GoPro! It was a fun time! I do not have children of my own, but the kids around me seemed to love the animals!